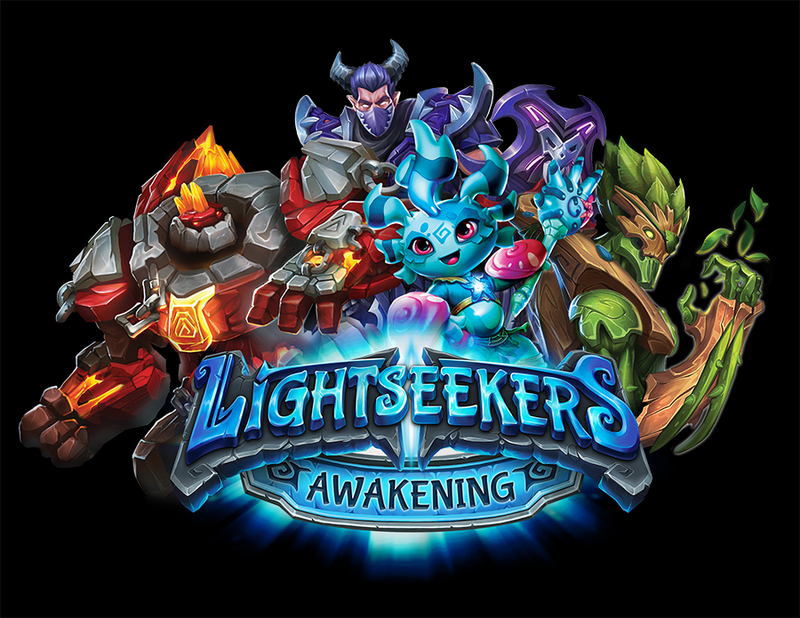 Lightseekers Awakening is a 2 plus player, combative card game that takes about 15 minutes to play (for two players) and costs around £27 for a double starter deck. Published by Play Fusion. During the 90’s I played and collected the Star Trek: TNG customisable card game. I enjoyed playing it and loved designing decks. However, I did not like the collectability. You could not buy a playable and competitive deck straight out of the packet. Now I play deck-builders like Star Realms, a player versus player games that I adore. Card games like this are playable straight out of the box. There is something about two-player battling card games that appeals to me. 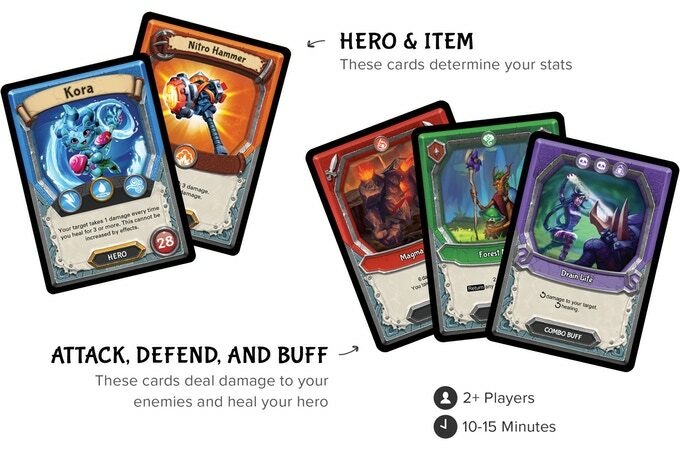 I stumbled across Lightseekers online and I liked the look of it because you can buy two pre-constructed starter decks or even a two player intro pack and play a game. Unlike most games of this type, you do not need to spend oodles amount of money trying to chase every rare card to stand a chance of winning. You can buy boosters, but that is your choice. Starter decks come with a booster pack with 9 cards! I did like that. The cards can also be scanned and used in a digital game, but the Lightseekers app game is cover here. Each player has a deck of thirty-six cards constructed to certain simple rules. They have a hero from one of six ‘orders’ that is always in play and he/she dictates the type of ‘element’ cards that can be contained in the deck. There are four main card types: defence, attacking, buffs and combos. The first two are played then discarded, but buffs stay in play either for a certain number of rounds or until they are removed. They can also have a multitude of effects both defensive, attacking or both. Combos cards are your big hitters, but they require you to remove others cards from your hand to ‘pay’ for their deployment. Players attack the person to their left and defend against the one on their right. You battle it out until a player’s health is depleted or an ‘empty deck’ condition is met. You could have an infinite sized ring of players, but most people will be limited by practicality and time. We were given two starter decks (Nature and Tech) therefore we could only review player versus player mode and these packs. It would be interesting to see what the sweet spot is. In a multi-player game, if you knock someone out you gain a victory point. The last player standing also gains one. The player with the most points wins. The overwhelming consensus is this game is excellent and fun! The first few games always take a bit longer as you read the text on the card and work out how best to play your cards. It will become faster in time as players are more familiar with the cards and their effects. I did love the way the rotating buffs worked. On one card it dealt four points of damage over three turns to its owner, but on the fourth, it dished out eleven to the opponent! You could find a way of mitigating this damage or your opponent could remove your buff from play just before the fourth turn arrives. To keep track of the turns, the buffs are rotated through ninety degrees at the start of each turn. When a buff has completed its cycle (two to four turns) it is placed in the discard pile. There is a back and forth nature to the game. You take damage, heal and dish some out, then repeat next turn if you can. Even if it looks like you are down and out, you can play a card or combo and you are right back in there. Frustrating for your opponent! The turns are pretty short and the game is over in twenty minutes (for two players). The mechanics are simple and easy to learn for casual or new players. The rules are well laid out and explained. Everything else is written on the cards. Yet, there are layers of strategy in this game that will appeal to gamers. Stringing your buffs together can stack up to become a huge attack even before you play a card from your hand! Trying to achieve this is where this game really shines. The two starter decks were not full of just common cards, but a good mix distinguishable by the colour of the text in one box. From what I could see, the usefulness or power of a card did not depend on its rarity, as is so often the case in other trading card games. YAY! The artwork is bright, appropriate and good. It has a cartoon look that is aimed at around eight-year-old children. The iconography is clean and simple, but a bit small on the top of the cards (I am being picky). The layout of the cards is good with keywords highlighted. I did find the text on the card a bit small especially when there was sufficient space to make it larger. The white symbols on the yellow cards were hard to read. Black on yellow would have been clearer. The playing card stock is fine for a collectable/trading game. The paper player boards are a bit large for my liking. I created my own more compact version with a smaller health tracker and marker. The game is portable with paper tuck boxes. These are a great addition if you do not sleeve your cards or use tight-fitting ones. If you use the tougher ones (like Dragon Shield) you will have to buy/use your own larger boxes. The health tracker is an awful, flimsy cardboard standee. The base kept slipping out of the box it came in. Play Fusion sent us quality metal coins with an embossed symbol of one of the elements. These make far better health markers if you are using the play mat. Otherwise, a small token would suffice. Your deck, play mat and other bits can be stored in the starter box. 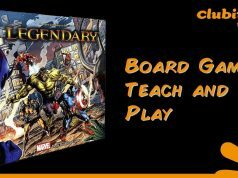 As explained under playability, the mechanisms in this game come together to create a fun and sometimes frustrating game. Sometimes you have to wait until a defensive buff is removed before you can play your big hitting card. Just when it does your opponent puts another one its place. The rotating buffs are sweeeet! I cannot heap enough praise and rave about this simple yet beautiful mechanism. There are times when you are rotating your buffs, dishing out damage to your opponent and watching them wince. That is even before you have played cards from your hand this turn. This is by far the strongest aspect of this game. This is by far the biggest let down of this game. To buy a starter pack it costs up to £20! That much for forty odd cards and a few other bits! Even then you will need two to play this game or the double pack (Storm vs. Tech). I mentioned Star Realms earlier. A starter box is about £10 with over a hundred cards and for two players. Okay, it does not have an augmented reality aspect to it or that you can scan cards into an app. Still, it is twice as much. I am not sure how many people would pay for these gimmicks? I know it makes me think twice. This is a great game to play, but it soon grows stale as you play the same cards over and over again. Yes, you can buy boosters or other starter decks and that latter will certainly inject new life into the game as you try to work out the best way to defeat the new contender. But that means more money! Owning the six orders would make this game extremely replayable, but at a cost of £120? Hmmm, I am not sure I would invest that much money into it. If you play the app you will see that the world of the Lightseekers, Tantos, is very rich and well thought out. The races work together to defeat the Umbron threat and Kreebals (orc like creatures). A number of the cards reflect that. What puzzles me is in the app the races and different orders work together. In the card game they are battle each other in a contest of champions. Is it just me that thinks this is a massive thematic disconnect? Would anyone from Play Fusion like to shed light on this? That aside, the decks do have a different playing style that is (for the Nature deck) very thematic as you tend your buffs to win the battle. The Dread deck looks like you poison your opponent. Without playing them, I cannot comment any further. If I saw this in a store or on a website, I would dismiss it thinking this was a game aimed at children. But, having played it, I found it a quick, fairly easy to learn and engaging, player versus player game that you can be customised (a bit) using the booster pack. 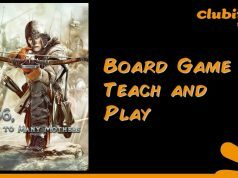 This game would work well as a lunchtime filler or with children of about ten years old or older are in the group. Any gripes I have are component/icon and cost related. There is a luck element as with any card based game, but you would expect that. My biggest gripe is the value for money…. The two order decks have different play styles. I look for games with balanced asymmetric decks. I would like to see how each one as they will appeal to different players or work better against different decks. All-in-all a solid game that I will continue to play and introduce to others. The final score is based on having access to only two starter decks with minimal customisation. Now that I have a better understanding of the game, I would like to explore the other decks and customising them. This may change my rating (upwards) in the future. 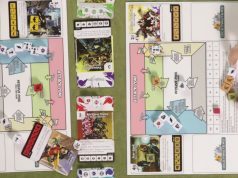 Click the link for an updated review including a video of Lightseekers, upgraded components and new decks.